The addition of four of the world’s top match racers, including Women’s World No. 1 Pauline Courtois of France, makes the field for the 2019 Argo Group Gold Cup one of the most diverse and cements its status as the preeminent match race regatta, the organisers said today. Price’s Down Under Racing team from Sydney, Australia, enters the Argo Group Gold Cup as the youngest crew alongside Botticini’s CNVA Sailing Team from Italy. 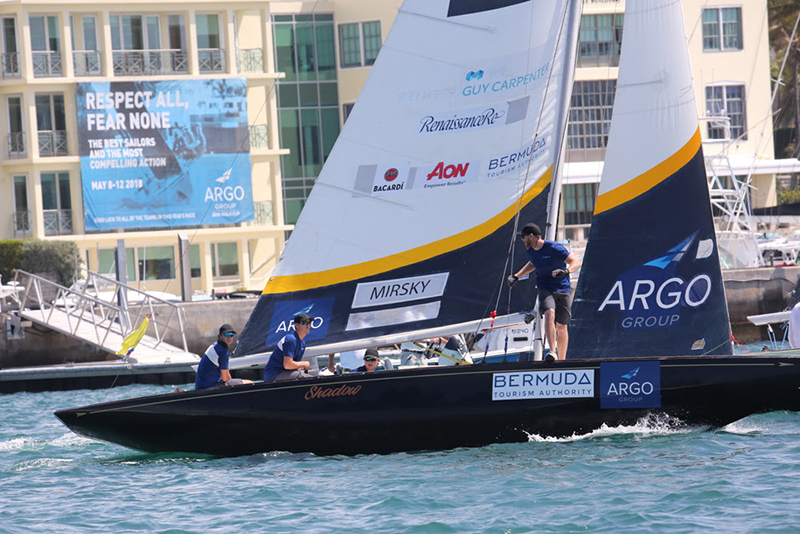 Both skippers will be aged 23 during the Argo Group Gold Cup. Price won the Youth Match Racing World Championship in 2017, over Botticini, and has since gone on to post some top finishes on the world tour, including third place at last year’s Regata de Portugal. The crew-on-crew racing in International One-Design [IOD] sloops will be held on Hamilton Harbour, directly in front of the Royal Bermuda Yacht Club docks where the pre-start circling action is often played out within feet of the docks. Expect to see all our elected officials out for this great race.